If you are looking to finance your college education, CommonBond and Sallie Mae are two top tier lenders. Each has a unique perspective on what it means to be a lender. CommonBond offers student loans for those at the undergraduate, graduate and MBA levels. It stands out among lenders for its Social Promise and other initiatives that make it more than just a source for financing. Sallie Mae also offers student loans for undergrad students as well as to pursue an MBA, obtain a medical degree or go to dental school. Loan products are even available for parents of college students as well as for parents who need to pay expenses for a child in grades K-12. But which lender is best? In this CommonBond vs Sallie Mae review, we compare key factors to help you decide. 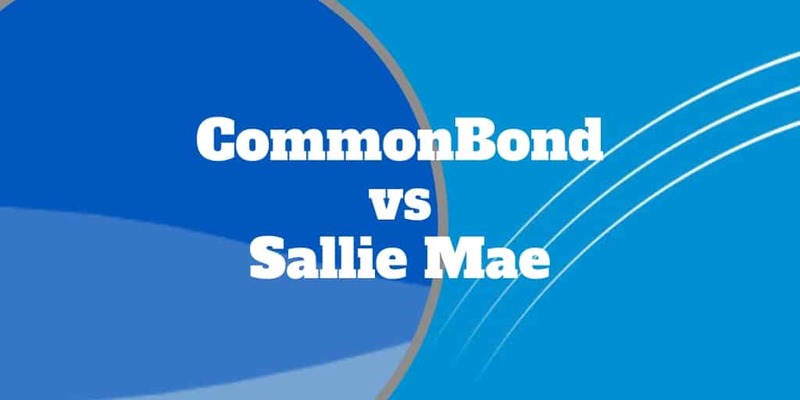 CommonBond vs Sallie Mae: Which Is Best? Private student loans can help fill the gap between what the government is willing to offer and the overall cost of tuition. If you have good credit, you may be eligible to receive lower interest rates and higher borrowing limits. Private student loans also come with a statute of limitations, meaning that after ten years lenders have little recourse if you default – unlike federal student loans which have no statute of limitations. Sallie Mae does not offer any products that are designed to consolidate student loans. However, you may be able to take out a personal loan from Sallie Mae that may be used to pay off your student loans. But Sallie Mae does offer a wide variety of private loan products that may fit the needs of students or their parents. Whether you are looking to go to law school, begin dental school or become an apprentice, it may be possible to finance the full cost of your tuition. Loans are also available to help individuals planning to go back to school in order to advance their careers. CommonBond offers private student loans and student loan refinancing. If you have excellent credit and are paying interest on federal loans, it may well be in your best interest to refinance a student loan to get a lower interest rate or to consolidate various outstanding balances. By reducing and consolidating your loans, it may be easier to keep track of and make your monthly payments. You can check your rate without a hard check on your credit report, and a loan calculator displays exactly how much you’ll save by refinancing. Sallie Mae Parent Plus loans come with an interest rate ranging from 5.75% to 12.13% depending on a borrower’s credit profile. Parent loans are also available for graduate and professional students. Interest rates for career education loans from Sallie Mae start at 6.5% and go as high as 13.75%. Undergrad loans taken out by a student with a parent as a co-signer start at 4.12% and go as high as 10.98%. The interest rate on these loans will change based on market conditions. They can be as high as 25%. Check out Sallie Mae rates here. Pro Tip: By paying a loan off early, you pay less interest and reduce the cost of your college education. 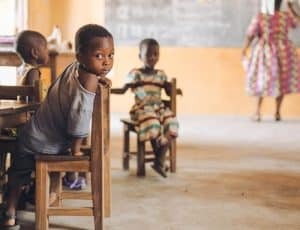 CommonBond’s Social Promise initiative involves a trip to Ghana each year to help students and others in the country gain access to technology and other educational resources. CommonBond student loan borrowers are invited to take part in the yearly quest to make life better for citizens of this African country. According to the company, they have donated $1 million and built 470 schools through the program. When you agree to make payments by automatic debit each month, your interest rate may be reduced by up to 0.25%. It will also reduce your chances of missing a payment or paying it late. By making payments in a timely manner, you may be able to improve your credit rating. CommonBond will provide anywhere from 5 → 15 years to repay either a graduate or an undergraduate loan. If you are having trouble repaying your loan, you can defer payments for up to 12 months on both loan types. When you make your first 24 payments in a timely manner you can request that your co-signer be released from the loan. Sallie Mae offers a variety of loan repayment periods based on the type of loan product that you select. To learn more about the exact repayment period, review your promissory note or contact the company directly. However, as a general rule, expect to have up to a decade to pay off your balance. Sallie Mae also offers deferments for up to 12 months for those who are struggling to make payments. Interest-only and graduated repayment plans are available to keep borrowers current until they are better-suited to make regular payments. To refinance existing student loans to a CommonBond student loan, you will need to be a United States citizen or permanent resident. Furthermore, you will need to attend a Title IV accredited school. CommonBond will review your credit profile to learn more about your finances and student loan balance. While it doesn’t specify the exact credit score needed for loan approval, you’ll likely have a better chance of approval with a score of 640 or higher. To obtain a graduate or an undergraduate loan, you must attend a Title IV or other not-for-profit college on at least a half-time basis. Graduate and undergraduate students will be required to have a co-signer for at least two years. MBA students may be able to apply for loans without a co-signer if their program is affiliated with CommonBond. While there is no explicit requirement for borrowers to add a co-signer to their loans, most undergraduate students will need one. When applying, you or your co-signer will need to provide bank statements, a Social Security number and an address. You will also need to provide references to gain approval for a student loan. A representative from the company may call to ask for more specific information if needed. Applying for a CommonBond loan takes only a few minutes and can be done online via the Commonbond website. It may be necessary to upload documents to verify where you are going to school and that the amount that you have applied for is accurate. A co-signer may be to verify his or her creditworthiness before a student loan application will be approved. If you are refinancing an existing student loan, you may be able to do so without a co-signer. To apply for a Sallie Mae loan, you can visit the Sallie Mae website and choose the type of loan that fits your needs. From there, you can choose whether you want a fixed-rate or variable interest rate as well as whether to start repaying the loans now or defer them until after graduation. According to Sallie Mae, the process, including the time needed for a co-signer to enter his or her information, should take about 15 minutes. CommonBond may be more attractive to borrowers looking to refinance existing loans. It may also be best for those who want to make a direct impact on the lives of people in developing countries. Conversely, Sallie Mae may be best for those who want a wide range of loans and options without necessarily needing a co-signer. Both companies make it fast and easy to apply, and they both offer quality service for those who are applying for or trying to pay off a student loan.